We value the privacy of children who may visit the Site and comply with the provisions of the Children's On-Line Privacy Protection Act. The Site is not directed at children under age 13 and will not knowingly market to or contact children under age 13. Information You Give Us: Bowflex receives and stores any information you enter on the Site (for example, when you request a free video, post information to our bulletin board, or make a purchase through the Site) or provide in any other manner, including via e-mail. This may include your personally identifiable information, such as your name, e-mail address, home address, phone number, credit card and other financial information, and social security number ("Personal Information"). We will only collect Personal Information reasonably necessary to comply with your requests and with our legitimate business interests. Of course, you can choose not to provide such information, but you might not be able to access certain sections of the Site, purchase products, or use certain services. Cookies: Like almost all Web sites, the Site automatically receives and stores certain types of information through "cookies" whenever you visit the Site. In addition to information you provide, we may collect the name of the domain and host from which you access the Internet; the IP address of the computer you are using; and the browser and operating system you are using; the date and time you access the Site; the URL you used to access the Site; and the Internet address of the Web site from which you linked to the Site. A cookie is a small text file that the Site sends to your computer to collect information about your activities on the Site. The cookie transmits this information back to the Site each time your browser requests a page from the Site and the information is stored to help facilitate your use of the Site the next time you visit. A cookie cannot read data off your hard disk or read cookie files created by other sites. If you do not want to receive cookies from the Site, you can set your browser to not accept cookies. However, disabling cookies will make using certain portions of the site impossible and you will not be able to make any purchases through the Site. Administer the Site and diagnose problems with our server. Provide you with information about the Site and our products and services and to facilitate performance under the terms of any other agreement you may enter into with us. Measure the number of visitors to the Site and how the Site is used in order to make the Site as useful as possible to our visitors. Send our informational and promotional material to you via mail and e-mail and allow selected third parties to send you such material. Contact you via phone regarding promotional material you requested. Invite you to participate in consumer research. If you do not want to be contacted by Bowflex, please follow the instructions under Opt-Out below. If you apply for credit on the Site, your Personal Information may be shared with a credit agency(ies) and other parties as necessary for our business purposes in connection with such credit application. All credit decisions are subject to the policies set forth in the credit application. Bowflex may also share information collected or obtained from you with others. If you do not want us to share information we have collected or obtained from you, please follow the instructions under Opt-Out below. The Site contains links to other Web sites. Bowflex is not responsible for the privacy practices or the content of such Web sites. You should review the privacy policies of such sites carefully before providing them with any information. We endeavor to use industry-standard encryption technologies when transferring and receiving data exchanged through secure portions of the Site. All financial data collected when you make a purchase through the Site is encrypted using Verisign encryption technology and all transmissions between our secured server and our corporate computer systems are done through private networks rather than through the Internet. We also have reasonable security measures in place to protect against loss, misuse and alteration of your information under our control. However, you should be aware that any communication via the Internet, and security measures in connection with such communication, is not failsafe, and there is always a possibility that data may be lost or intercepted by unauthorized parties during such transmission or after receipt by Bowflex. You agree that Bowflex shall have no liability whatsoever in connection with such lost or intercepted data. Bowflex does not disclose the identities of visitors or users of the Site unless legally required to do so. We will respond to any subpoena received from a government agency (i.e., the Securities and Exchange Commission or law enforcement agencies) without prior notice to you. Unless prohibited by law or by a valid court order, we will notify you of any subpoena received from any other party (i.e. for civil litigation) which requires us to disclose your identity, and will wait ten (10) days, or a lesser amount of time as required by the deadline in the subpoena, before providing the information requested by the subpoena. Please be sure to include the e-mail address you used when you registered with the Site and/or provided the information, so that we can verify your request. 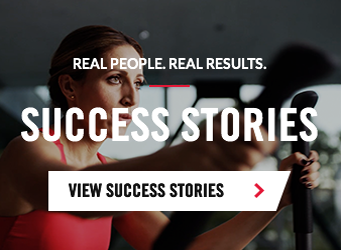 The Site is controlled and operated by Bowflex from its headquarters in Vancouver, Washington, United States of America. If you access this Site from a location outside the United States of America, you do so on your own initiative and are responsible for compliance with all applicable laws of your jurisdiction. IN NO EVENT SHALL BOWFLEX LIABILITY EXCEED $50.00.